I had the pleasure of participating in a Christmas Card Exchange with the blog Sunny Days and Starry Nights, run by Tracy and Jessica! It was really so much fun! I was given 5 names to send out cards to, and they sent cards back to me as well. I am really thinking of doing this next year on this blog, so many of you wonderful readers I have would enjoy it! I keep many cards that are special, and I even have quite a few framed in my home. They make for easy decorations and barely no cost at all. My list has gotten smaller over the years, with many relatives passing away, so it was nice to have some new cards, from new places, arrive in my mailbox! 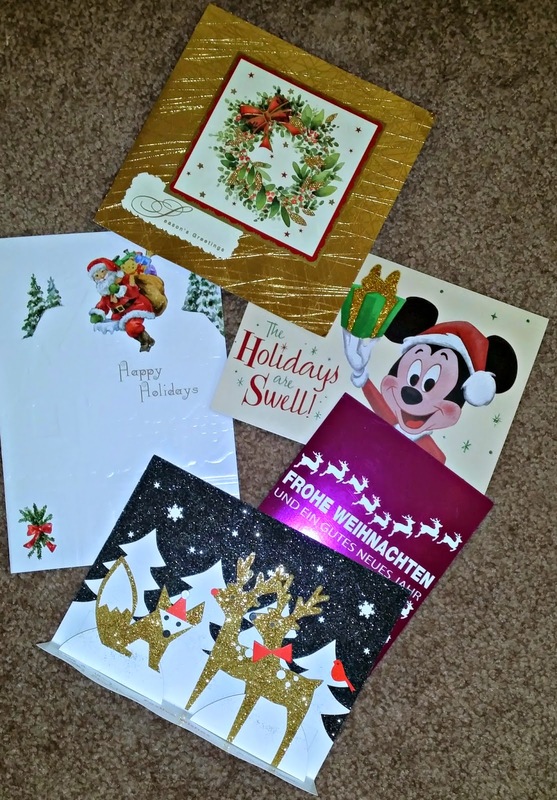 Do you think you would be interested in a Christmas Card Exchange? I will revisit this in about 11 months, so we will see how it goes. I hope everyone had a wonderful Christmas! !